The iPod Nano 3G was yet another release among the iPod Nano line of products from the Apple company. The iPod Nano 3G took the iPod Nano in a completely new direction. In fact, the screen was maximized and almost doubled in space and the entire shape of the device was changed. It now became a very boxy device, which was different from the rectangular shape that it had before. 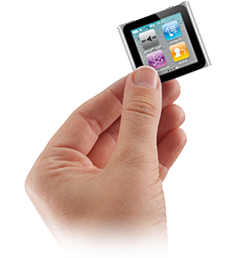 Because the screen is so much larger, LCD screen replacement services are very commonly requested for the iPod Nano 3G. This is a device that if dropped can be broken fairly easily, so you need to be careful with it. If your screen has become cracked or damaged, you can contact us right away and we will provide LCD screen replacement services.